As we stepped through the exit door of the Boeing 737-900, we were hit by that wonderful blast of heat and humidity that tells you that you have finally arrived in Panama City. Our four-hour flight south, from Houston, was interesting in that this seems to be the last schedule operated by US air carriers that actually provides a hot meal to people in economy class! Amazing! 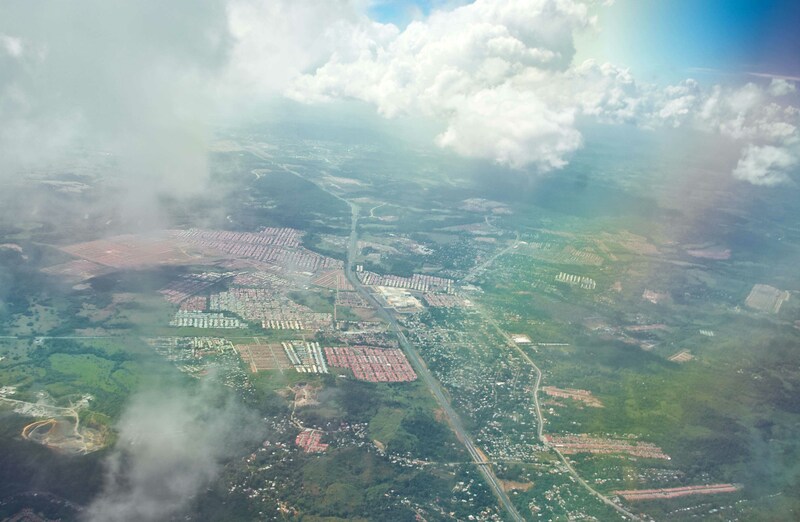 If you are flying into Tocumen International Airport (PTY), and want a great view of the city as you approach landing, then get seats on the driver’s side of the plane and keep your camera close until you are on the ground! The featured image for this post is of the locks at the Caribbean end of the canal. The approach from the north takes you roughly down the canal to the Pacific where you will make a hard left u-turn over the water and head back to the airport from the south. 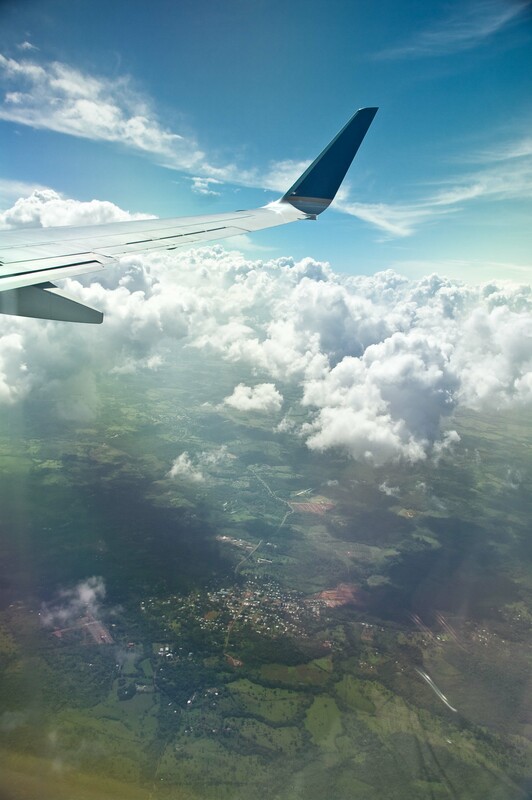 During the turn, and for most of the rest of the flight, your view will be incredible. This city of one million has a downtown filled with high-rise towers that makes for one of the most spectacular skylines you will see anywhere. I couldn’t remember which side had the view so flipped a coin and chose wrong. Now there are no pictures of the city from the air for you. Renting a car here forces you through a complex and frustrating maze of insurance decisions that you must make. It’s the only place we have ever been where the car rental companies (all of them) force you to pay for every bit of insurance. They only provide the car! Now this a pretty good revenue generator for the car rental companies and some milk it more than others. We read the small print for one car rental company and found, according to their website, that you HAD to buy their Collision coverage. They would not accept the collision coverage that many credit cards give. Next, you HAD to buy their Liability coverage. Lastly, you had to buy a personal accident coverage which makes little sense now as the Panamanian government provides all tourists with 30 days of free accident and medical insurance, but more about that later. That particular company always turns up as the cheapest car to rent in Internet searches. Some are as little as ten dollars per day, but once you arrive at the desk you are informed about all the extras which drive the cost of the rental up to a ridiculous amount. We used Budget this time and they presented me with a legal size sheet paper full of insurance options. The page was margin to margin and in about an eight point font. There must have been a dozen or so different options. At least they allowed us to use the credit card provided collision coverage after signing a complex looking waiver document. Liability insurance was $12 per day, which seems pretty standard for all the companies. I read the small print and found that it gets you a whopping $25,000 of liability coverage. You can buy it up to $300,000 for an extra $6 per day. 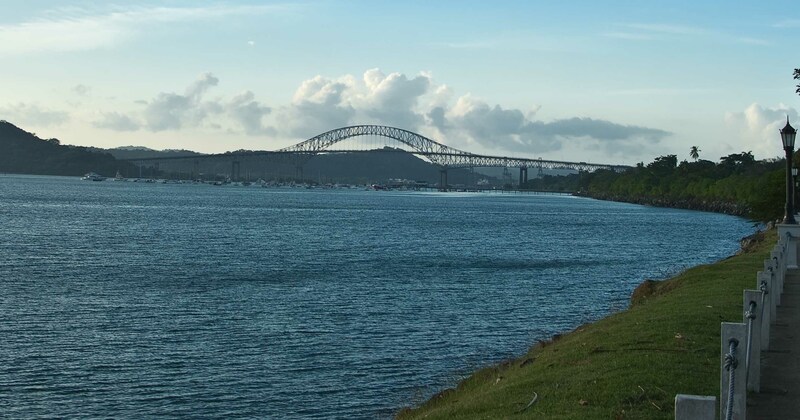 It is foolish to drive here without a liability insurance, as it is against the law and you don’t want to end up enjoying your vacation in a Panamanian jail! If you are renting a car here, be aware of the insurance situation. Your Internet confirmation will quote you a price that does not include the insurance and you have to dig pretty deep to get the information from the Web. You can’t get around it although if you are from the US and are an AMX card holder, you can apparently buy some kind of insurance package that will cover your liability for a few dollars. We Canadians aren’t that forward yet. Oh, one other thing… always book your car ahead! If you just walk up to the desk of any rental agency, you will pay more. Here is another reason to put Panama on your bucket list. Pay attention seniors! Can you think of any country in the world that provides each visitor with 30 days of free accident insurance? I can’t but Panama put such coverage in place last year. It covers all visitors arriving through Tocumen. After you get out of the airport secure area, just stop by the information booth and ask for information about the travellers insurance. They will give you a brochure. Don’t worry, there is nothing to fill out. You don’t hear anything about this insurance from anywhere else either. Because we are going to be here for 76 days, we needed coverage to take us from the end of that free coverage until we left the country. Now try to find an insurance company in Canada that will start your coverage mid trip! None of them knew about the Panamanian coverage and none of them would sell any coverage unless it started on day one of our trip… except one! Want to know who? Well it is Royal Bank of Canada Insurance. There… I just saved you some money!! Driving here in Panama is a bit, shall I say, challenging! One of the problems with getting around here is that there are no good maps available. Also, many (read most) roads are not signed either! The rental agency will give you a map that you cannot really navigate with because it is one of those stupid tourist maps that only had some of the streets on it and nothing is to scale. Now if the streets are not signed, and the map doesn’t show all the streets, you are in trouble! You can’t even count blocks until your destination because they may not be on the map! Enter the GPS! You can rent them from your car rental company for I think $20 or so per day. If you own a Garmin GPS, go online to http://PTYGPS.com. You can buy a Panama map that will work on your Garmin. Now driving as a visitor is possible. If you don’t have a GPS, you could probably buy one for less money than you would pay to rent one from your car rental company. After I finished my above rants, I climbed down off my soapbox and we got into our nice new Toyota Corrola and followed our trusty GPS to out first hotel, the Country Inn Panama Canal in Amador. I picked this hotel for its location. It is right on the canal close to the entrance and the Bridge of the Americas. If anyone is not familiar with the city and wants a great spot to get your feet on the ground, this is located very well to get you into the spirit of your trip. Now this is not the Westin and they are doing renovations here but our room has been modernized and is clean, quiet, cool and they have a pool. It will be perfect for our first three days. I will give you some pictures tomorrow to show you why this place is so special. I am going to Panama in Febuary and just found this site. It will be interesting to hear what you have to say about the country! It’s always nice to welcome another Canadian to our blog! This is our third trip to Panama so hopefully we can contribute something that will be of interest to you for your trip here in February. Plus 32C here today. Have not seen pie on any menu yet here. Do I taste a business opportunity? 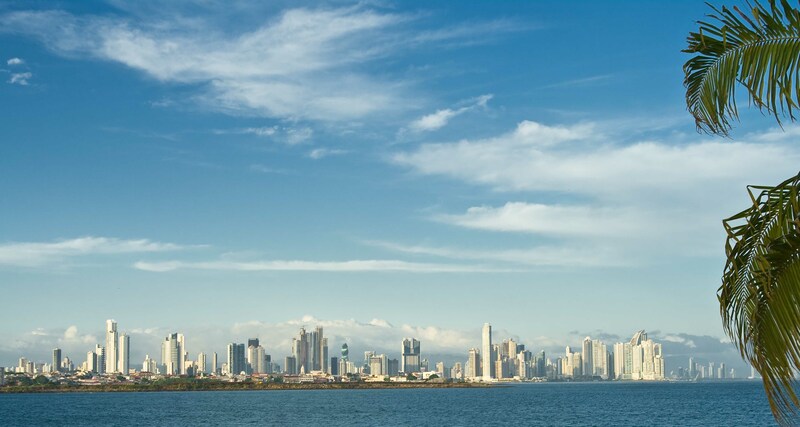 We are spending a week in Panama in February – looking forward to seeing what you get up to and any recommendations you have, a week is so short we don’t want to miss any opportunities! You are right… a week will go by so quickly but I know you will fall in love with this place! Will be coming to Panama for 2nd time in February. Considering it for retirement area. Great start Keith, looking forward to your adventure to unfold. If you are looking for milder temperatures than you will get in the City, you should check out the area we are in right now, Cerro Azul. You don’t need AC and there is always a breeze. Thanks for the updates. Makes me wish I was in Panama already! These are some awesome tips, Keith! I had specific questions about rentals AND the GPS maps, and you answered them all! Since I’ll be in PC for about 2 months, I think the most affordable option will be to rent a vehicle for a week or two when we’re headed to places that public transport won’t bring us, BUT we will also have our large German Sheperd dog with us (talk about a pain in the ars getting the dog in! ), so for longer day trips we’ll definitely need the rental. 6 months total in Panama, and I’m already sweating from the thought of car rental costs over that period of time, not just from the thought of the humidity. I’ve been to Panama twice before, and I was told one additional piece of info you might be interested in – renting at the Tocumen airport actually incurs an airport tax. Not sure if this is still the case, but one expat friend said it is. Thanks for the feedback. Yes, there is a surcharge that all rental agencies put on the rental for being at the airport. Actually, if you check your rentals in Canada and the US, the same thing applies. It was not much money and we deemed it worth the convenience of being able to get the car right at the airport. Sounds like, in your case, you will only be doing spot rentals and in that case, you should pick a rental office not at the airport and avoid the fee. I would be interested in submitting to your your site and will do a little research on it in a day or two.